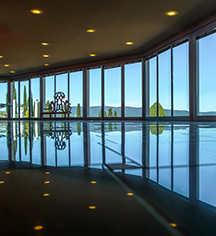 La Bagnaia Golf & Spa Resort Siena, Curio Collection by Hilton is the ideal setting for any occasion in the beautiful Tuscan countryside. 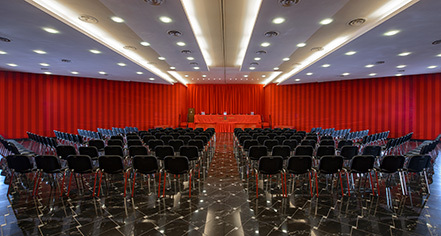 This inspiring setting has the versatility to host up to 450 guests in the diverse Congress Centre. There is a pillar-free ballroom for up to 250 guests, separate boardroom space, and gorgeous outdoor locations with iconic Tuscan views. Exhibitions, fairs, concerts, music events, congresses, meetings, car launches, and outdoor activities have all been held on the picturesque grounds of La Bagnaia. Services and amenities offered include audiovisual equipment, catering, event planning experts, and complimentary WiFi. The business center provides faxing, printing, and photocopying. Hosting an event at La Bagnaia will ensure guests will leave with a lasting impression. La Bagnaia Golf & Spa Resort is the ideal setting for any celebration, wedding, incentive, car and product launch, meeting, or conference.